The 45th Anniversary Gold Edition, built off of the GT-R Premium model, commemorates the GT-R’s long heritage of world-class high performance. 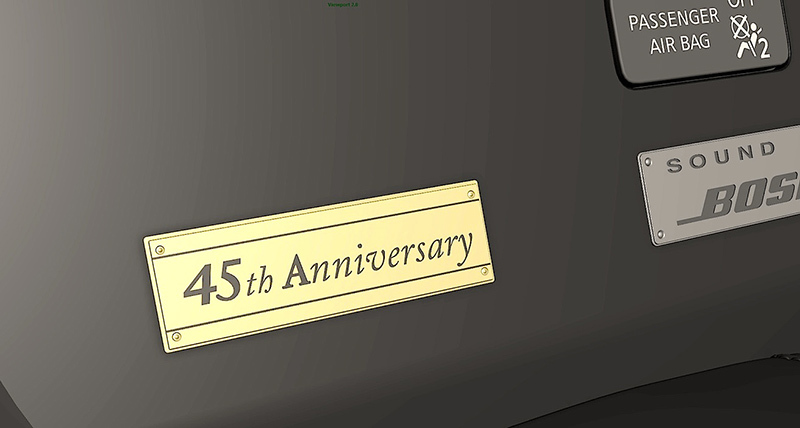 Featuring a special gold paint color, the limited edition model also includes a special gold-tone VIN plate located inside the engine compartment and a special commemorative plaque on the interior center console. The paint color itself is the same “Silica Brass” color that marked the 2001 Skyline GT-R M-Spec (R34 Type). Fewer than 30 of these special GT-Rs are slated for the United States market. The GT-R Premium and GT-R Black Edition are now rated at 550 horsepower**, the result of additional fine-tuning of the advanced VR38DETT 3.8-liter twin turbo V6’s engine electronics. 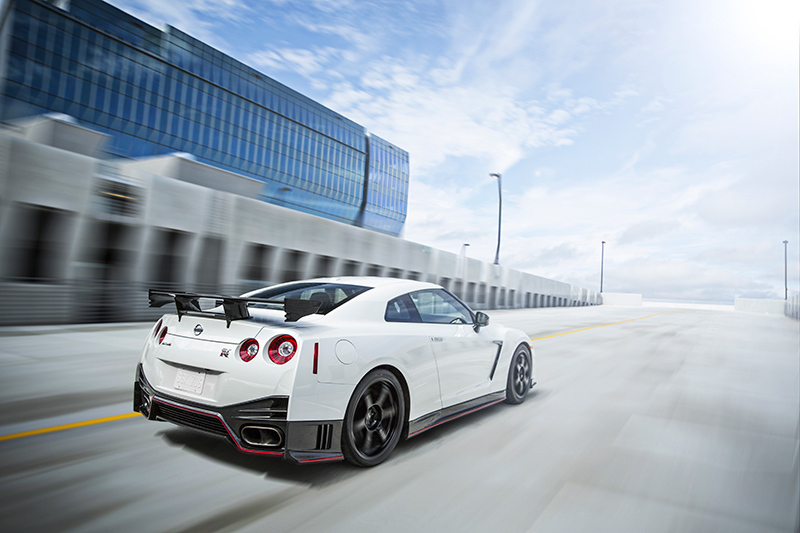 The power rating for the exclusive GT-R NISMO remains unchanged at 600 horsepower. Along with the 50 additional horsepower and 18 additional lb-ft of torque, the GT-R NISMO features enhanced aerodynamic features, body reinforcement and ultra-precise handling (versus the Premium and Black Edition models). The GT-R Premium’s new 20-spoke RAYS® aluminum-alloy forged wheels with premium dark (near black) finish replace the previous 10-spoke design. The wheels are mounted with sticky nitrogen-filled Dunlop® Sport Maxx GT 600 DSST CTT ultra high performance run-flat tires, sized 255/40ZRF20 front and 285/35ZRF20 rear. Now in its second year of availability, the Nissan GT-R NISMO delivers “factory tuned” supercar dynamics with advanced aerodynamics and ultra-precise handling. 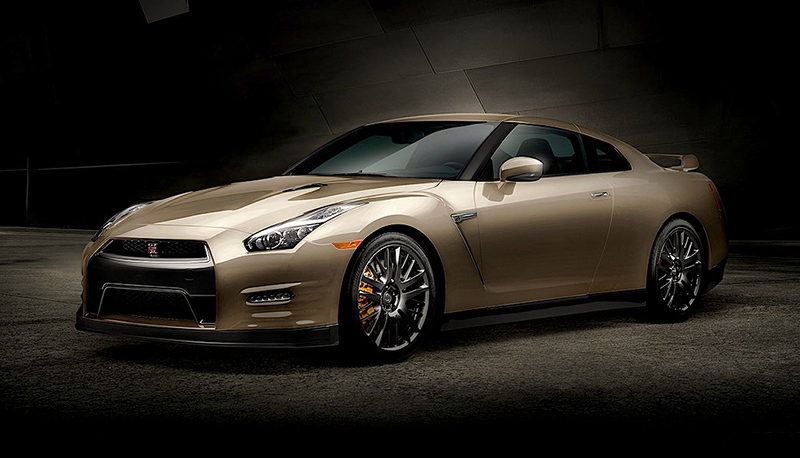 It takes the “standard” GT-R to an even higher level of street-legal driving excitement. 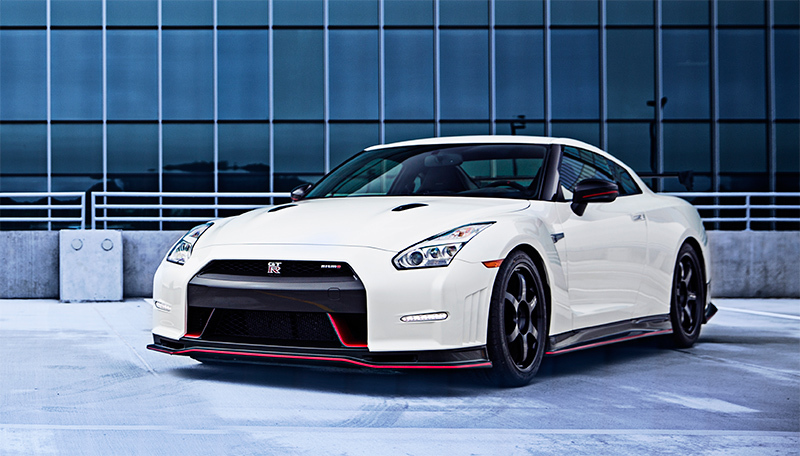 As in its debut year, for 2016 the GT-R NISMO model is available in very limited numbers in North America. It features exclusive styling that embraces the longstanding racing philosophy of form following function. It has numerous motorsports-inspired technologies to enhance the car’s performance through optimized aerodynamics, suspension and powertrain, creating a well-balanced machine that is at home on both the road and track***. The 2016 GT-R NISMO’s 600-horsepower VR38DETT 3.8-liter twin turbo V6 is rated at 600 horsepower and 481 lb-ft of torque**. The engine’s high-flow, high-capacity turbochargers are similar to those used for GT3 racing and offer improved breathing. Optimized individual ignition timing control for each cylinder and upgraded fuel pump (versus standard models) help improve combustion. The GT-R NISMO also features a special aerodynamic body treatment designed to enhance rod holding and minimize the negative impact of drag while adding to the GT-R’s muscular appearance. The unique front bumper, engine undercover and carbon rear spoiler increase downforce, lowering the center of gravity and generating an additional 220 pounds of downforce (at 185 mph) compared to the standard GT-R models. The car’s aerodynamic characteristics are tuned to ensure the downforce is equally spread front to rear at all speeds for progressive handling characteristics. A widened front bumper configuration and elongated yet tapered rear bumper design keep the drag to Cd 0.26, same with that of standard Nissan GT-R. Four exterior colors are available for the GT-R NISMO: Solid Red, Jet Black, Super Silver and Pearl White. Inside, the Nissan GT-R NISMO’s racing-style RECARO® seats offer comfortable yet firm support for the driver and front passenger. NISMO racers influenced the design of the steering wheel, which is dressed in Italian-made Alcantara® with three spokes, red leather center mark and red stitching to give the best combination of grip, feedback and comfort. The combi meter has carbon-like finish, and tachometer features a red design. The meter hood is also dressed with Alcantara®. Interior trim features include discreet red stitching on the seats, center console, door trim and steering wheel. As in previous years, the 2016 GT-R Premium and Black Edition’s 3.8-liter twin turbo V6 engine is hand-assembled from beginning to end in a special clean room by specially trained technicians, a process similar to racing powerplant construction. An aluminum plate is added to the front of each engine showing the name of the “Takumi” engine craftsman. The advanced VR38DETT 3.8-liter twin turbo V6 is now rated at 550 horsepower. Torque remains at 463 lb-ft. Fuel economy is rated at 16 mpg city and 22 mpg highway. GT-R’s interior balances functionality with a sense of ease and comfort. It features sculpted performance bucket seats for an optimal driving position and a cockpit-style instrument panel with a large center-mounted tachometer and multi-function display – which includes mechanical and driving information, as well as an on-board driving recorder. A specially designed 11-speaker Bose® sound system with speakers mounted in rigid aluminum die cast panels, which provides sound quality suitable for a supercar, is standard. The system includes a Bose® Active Noise Cancellation system (not applied to GT-R NISMO) tuned to reduce engine booming sounds. Also standard on all models is a RearView Monitor.